One of the common questions about laser hair removal safety is concerning laser hair removal over moles and skin tags. This is a clever question and it shows your safety instincts are fine, as there are some precautions that need to diagnosed before doing laser hair removal near or over moles. The whole process of laser hair removal, works because the intense light from the laser beam, is absorbed by the dark pigment at the hair follicle, and the light turns into heat that destroys the hair. For the best hair removal results the skin needs to be pale and the hair should be dark. 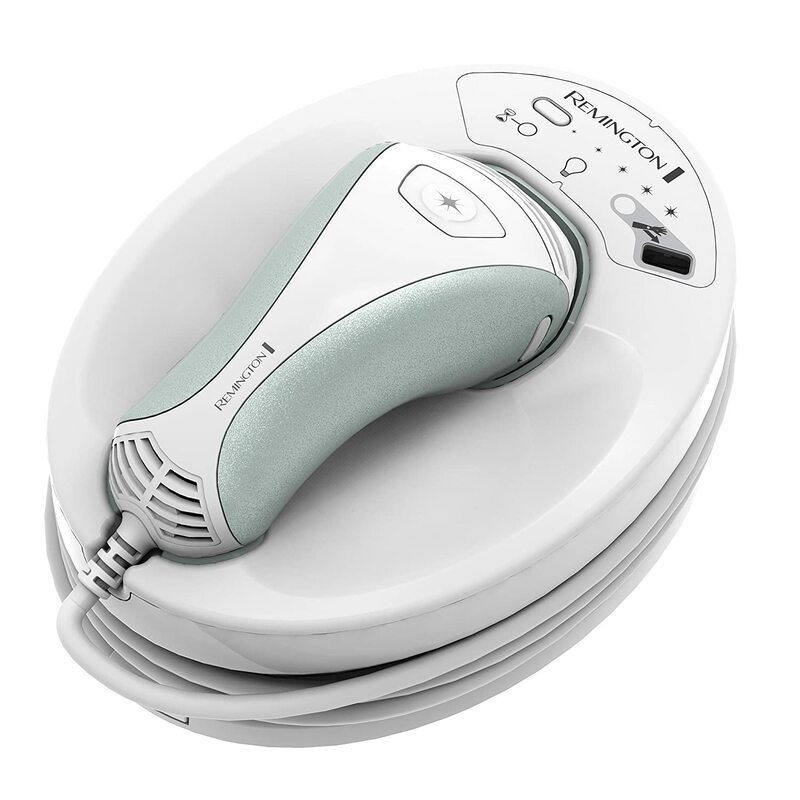 This high skin-hair contrast is the most safe and effective combination for laser hair removal treatments. Any other combination, can complicate the treatment and cause side effects. That is why dark skinned people are not recommend as candidates for laser hair removal. 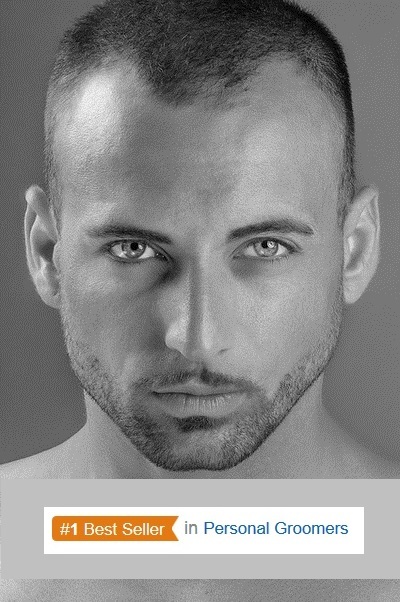 White or gray hair can not be treated by laser. Laser hair removal over tattoos is totally prohibited. Since moles and skin tags are usually dark skin spots over the skin, the safety issue concerning them is a real safety matter. So what can be done? The most simple solution would be to remove the mole or skin tags. These moles are usually not pretty cute freckles, and are an aesthetic problem anyway. This is twice a problem when these moles and skin tags are appearing over the neck, face, chin, sideburns or beside the nose. These moles usually are dark brown and have hair grow out of them like whiskers. The mole removal can be done by a dermatologist, you should check if it is covered by your insurance. The facial moles removal procedure is quick and rather painless, when done correctly with laser (different type than the hair removal laser). Some prefer to remove body moles and skin tags without surgery, as there are many natural ways for this to be done. 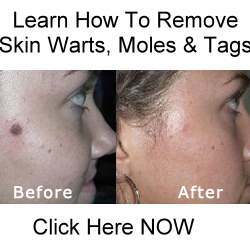 See here a moles and skin tags removal without surgery. Once you have removed them the laser hair removal becomes safe and without special side effects concerning them. Because laser light can be dangerous for dark skin, as it is extremely dangerous to be done over tattoos, having laser over dark moles can be risky. You should have your skin moles and skin tags seen by a dermatologist before doing laser hair removal over moles treatment. One option is to place a white plaster over the moles to protect it from the laser light, the white color will repel the laser and the pigmented mole will be safe under it. If the mole it self has hair growing from it, or your skin is covered with moles and skin tags, than the white spots is not a solution for you. Laser hair removal over moles can be done, in order to do it safety you should adjust the laser level to the lowest power available (the new model of Tria laser home system has 5 power levels). Some recommend to use Topical anesthetic cream cream to numb the skin as the laser zapping over dark skin may hurt. The melanin is in charge of the body colors (eye color, skin and hair colors). The laser light when it is pulsed over dark skin can interfere with the normal melanin production. This can cause two side effects of laser skin discoloring: Hyper-Pigmentation (moles will get darker), and Hypo-Pigemtation (moles color may flake and fade). In both cases it means the laser has disrupted the normal melanin production. The best advice would be to get your moles checked by a skin doctor – dermatologiest. Then think of safe ways to remove these moles prior to the laser treatments. Here is the link again for the mole removal without surgery method. This entry was posted in Laser Hair Removal Risks, Specific Body Hair Removal and tagged dangers of laser hair removal, does laser hair removal cause skin cancer, laser hair removal cancer, Laser Hair Removal Risks, Skin cancer, skin cancer dangers, skin moles removal by . Bookmark the permalink.